Babies. They’re not for everyone. Sure, they’re cute, but they’re exhausting. Better yet, sometimes their very existence can unleash all kinds of hell upon a naïve new mother. In Siembamba, or The Lullaby written by Tarryn -Tanille Prinsloo and directed by Darrell Roodt, this seems to be the case. Now, before you stop me and say, “But Barb, we’ve all seen the run-of-the-mill evil baby horror flick,” let me tell you that this film takes the idea and goes even darker with it. So, sit back with a bottle and get comfy while I tell you a little about…The Lullaby. The Lullaby begins with a dire history lesson from 1901, complete with a concentration camp setting and being shown what happened within the confines of the camp when it came to women and particularly babies. Brutal. Fast forward to modern day, where we see a young lady, Chloe (Reine Swart), in active labor and hear the healthy cries of a newly born baby soon after. However, the new mother isn’t exactly thrilled once the baby is cleaned up and presented to her. This is never a good sign of things to come, right? Once they arrive home, Chloe and her mother have a brief discussion about who the father of the baby is, among other things (apparently, these two haven’t had the best mother/daughter relationship, hence heavy dependency issues…moving along). Ruby leaves Chloe to care for the baby on her own while she goes to work. Chloe is still exhausted, as new mothers are, and realizes how hard it is to be a mother to a demanding baby. She wants to sleep, she’s having problems feeding, and she’s seemingly falling into what appears to be post-partum depression. Once Chloe’s left all alone, her horrific descent begins soon after. We hear the things she hears or doesn’t hear. We see the things she sees or doesn’t see. 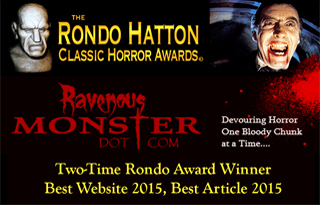 Is there an evil force at play that’s trying to harm Chloe and her sweet baby, or is Chloe the monster that’s feared? Once Ruby suggests that Chloe go and talk with the creepy family doctor (Brandon Auret), to whom she tells her darkest secrets, we’re let in on the story as to why there’s a strain in the mother/daughter relationship. The good doctor also reveals the history of the town they all reside in, going back to the opening scene and the meaning behind it and what it has to do with Chloe’s present state of mind regarding her baby boy. Essentially, the doctor diagnoses her with having the “baby blues” and tells her to do what the visions show her. Chloe thinks this is a dangerous bit of advice, but the doctor tells her it’s to help. But is he really just another sinister addition to Chloe’s questionable sanity? Without giving anything important away, I will tell you that The Lullaby isn’t for the squeamish or the delicate. Not because it’s overly gory, but because this movie is just very grim. Truth be told, even I found this a difficult movie to watch at times. Don’t get me wrong; it’s not along the lines of A Serbian Film, but parts of this film are just as tough to get through. That being said, the acting is strong and believable. The story is easy to follow, even though there are quite a few flashbacks throughout. It kept my attention through the entire film. 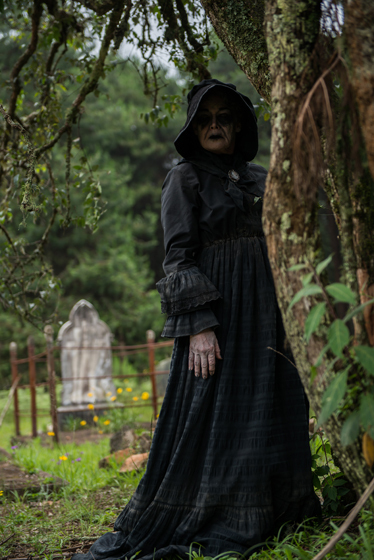 The Lullaby is worth a watch if you’re willing to take a trip to the completely dark side. 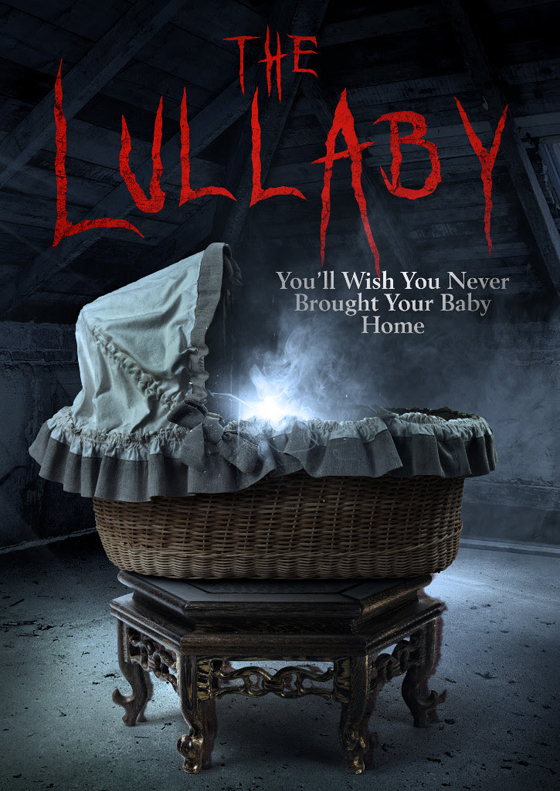 THE LULLABY will be released in theaters and made available on VOD by Uncork’d Entertainment on March 2.